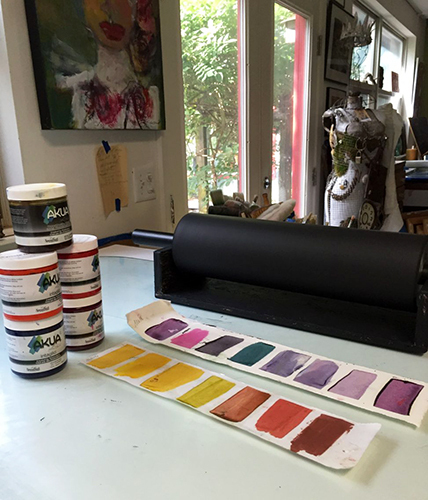 During my week Boston in July at Mixit Printing Studio, I learned about Akua Inks. 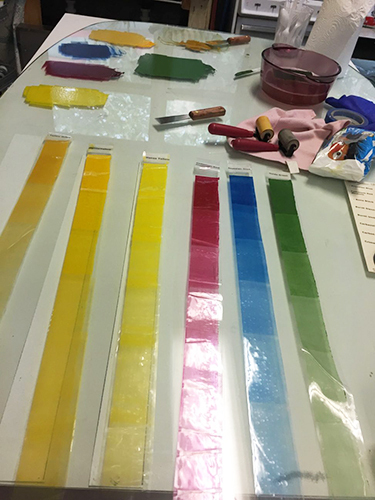 It is a wonderful new inking system that is soy based, non-toxic and allows for more opportunities to experiment with color overlay and viscosity. I returned, greatly enthused, and dove in with all 5 1/2 feet to redesign the studio space to accommodate this new “Green” system of working in my space. 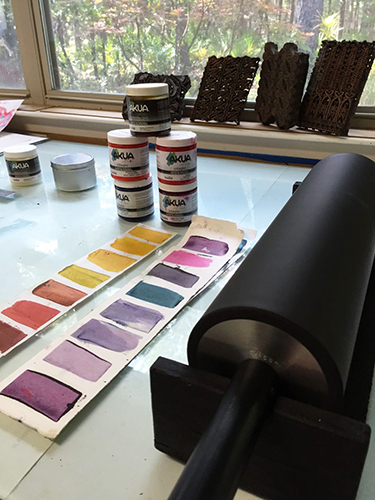 Tables were moved and glass applied on top for rolling out the inks in a new way with new larger rollers from Takach Press. 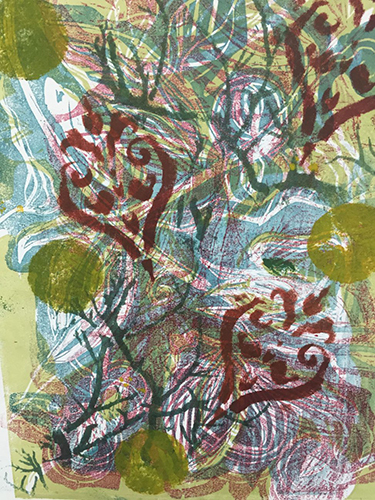 I experimented with layers and layers of transparent colors applied to woodblocks and printed on new handmade printmaking paper from Holland, enjoying new ideas and discoveries all along the way. The new work is evolving. 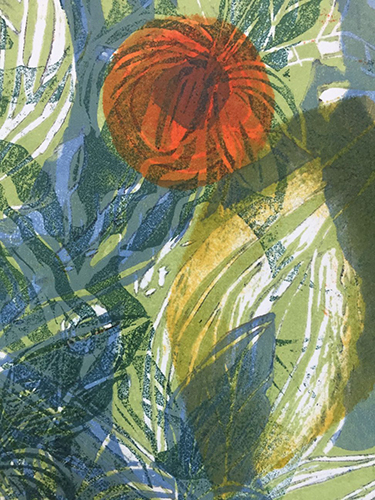 It is an exciting freeform time for this printmaker who at times has wondered if she would ever have a new idea again… Onward And Upward!